But, what makes mine sooo special is the fact that my husband is building it. That might seem normal; but he is doing this while enduring radiation treatment for cancer. I’m very blessed to have such a wonderful and loving husband that wanted to make sure he saw to my dream coming true to own my own greenhouse; while ignoring his own worries and physical problems. Right now; we’re harvesting a lot of love, prayer, and satisfaction as we watch it come together. 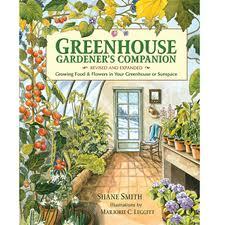 By mid to late spring; I’ll be ready for my first attempt at gardening in a greenhouse. A lot of herbs, flowers, and some veggies to start with; but most of all a lot of love and blessings are hoped to be harvested for my husband and all his love and efforts to allow this dream to materialize! A few weeks later . . . This entry was posted in Greenhouse Stories from our Readers by shane. Bookmark the permalink.